Get more insight in the bars. A candlestick only gives you the Open, High, Low, Close. See more clearly and act quicker with the DeltaPrint using unfiltered market data. 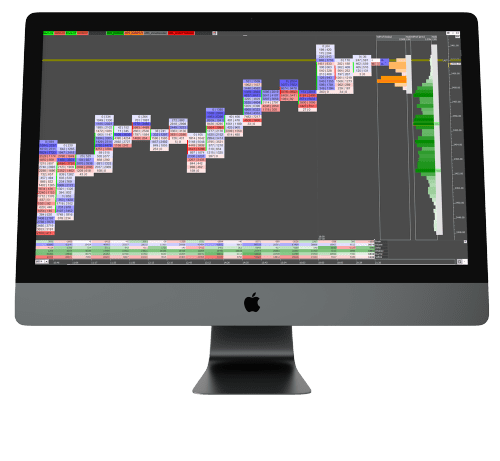 The DeltaPrint visualises real time data in a way you wouldn’t be able to see with conventional charts. 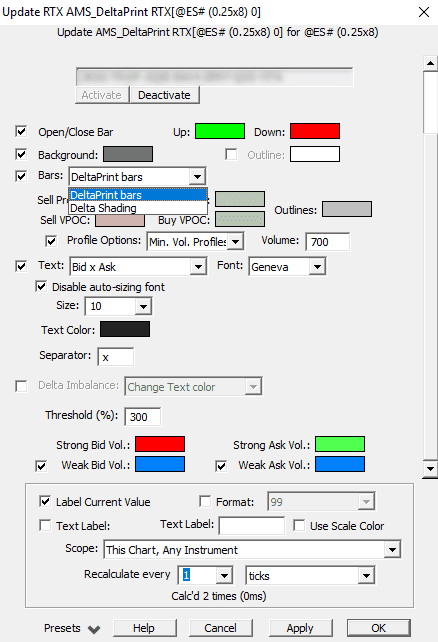 It shows real market data in high detail by using the tickdata in your datafeed. Let’s say one price shows 998 x 462. 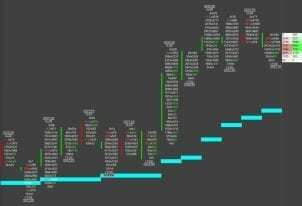 The number left are contracts traded on the Bid (998) and the numbers on the right side are contracts traded on the Offer (462). 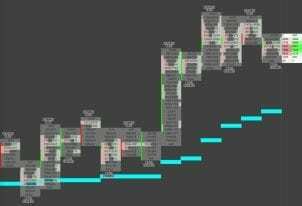 You can see the buys and sells inside each price bar that are being made in real time and how it’s impacting price. 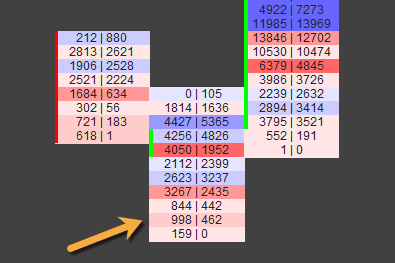 Create bid/ask profiles based on orderflow data which shows you the delta for each level. See acceleration, deceleration, absorption and high volume levels in a single, intuitive graphic. As you can see in the settings panel, the combinations you can make are endless! This layout type applies an algorithm that highlights important order flow imbalances. It does all the work for you and interprets “buy” and “sell” imbalances in real time.